David is off to see his new cardiologist. Hopefully, he will like this guy better than the last one. I am staying home to prepare ingredients for seafood fried rice for tomorrow’s lunch. I see my podiatrist this afternoon. This week is one damn doctor after another, plus therapy, plus an Arlington County Inspector to check our plumbing. We had an $1100 water/sewer bill third quarter and the county says we may have a leak. Our third quarter bill is usually higher than the other three quarters, but the highest it’s been is $400+. “It’s the Arlington water,” says the plumber who installed new toilets, and sink fixtures three years ago…and tore holes in our ceiling to find a leak last year. 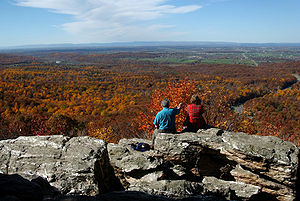 Our water is “hard”, filled with calcium deposits from the Shenandoah Valley. 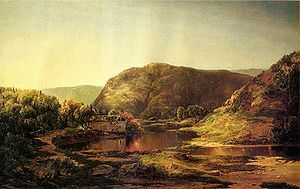 Before the Water reaches Washington DC where it is channeled into Arlington, it travels through the Great Valley of Virginia to Harper’s Ferry where it turns east toward the capital. 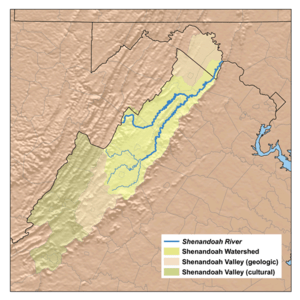 Millennia ago, the Great Valley of Virginia, also known as the Shenandoah, was an inland sea. Global Warming alarmists say it will be one again. As a sea, it collected the bones of countless creatures which now form the limestone bed the river courses through. Geologists working in the Valley find much to enthrall them. Residents using the water downstream are less enchanted. Although the rain we catch in barrels is relatively acidic, our tap water is alkaline, which allows me to grow beautiful plants, not terribly unlike the English across the pond who also sit on a great limestone bed. In the header above: irises in my backyard this past summer. 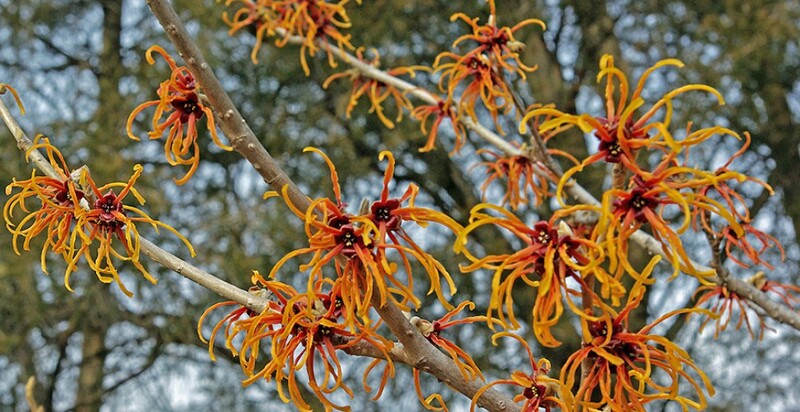 This entry was posted in Environment and Nature, Gardening and Gardens, Health/Medical Stuff, History/Art History, Home/Home Improvement, Retirement Living, Urban Spaces by SchmidleysScribblins. Bookmark the permalink. We were just at the doctors ourselves. I hope David likes his cardiologist too. It does make a difference if you feel confident with your doctor. Oh, boy, and people here complain when their water bill reaches $100 now that we are on meters. For ever we were not metered, only been metered the last year or so and you would think it was a communist plot or something the way people complain. I’ll send them your way the next time I hear some ranting. We live in a desert, but you would never know it by the irrigation we do. Glorious irises! I would never have guessed your city water played a role. But more than $1,100 for one month? Yikes! Your soup looks colorful and appetizing. Hubby is cooking vegetable soup as I type. It is tasty but not near as fresh and colorful. And thanks for comment on my post. Your garden is spectacular. I love the colors. As for your water bill, it does sound excessive. I hope they locate the leak, if any, and are able to seal it.